A rash is a broad medical term that refers to a change in the condition of your skin that can cause symptoms such as redness, bumps, or blisters. A rash can be caused by a skin condition or be a symptom of an underlying health issue. If you have a rash from an unknown cause, Pedro Ortega, MD at Central Florida Primary Care, with offices in Winter Park and the MetroWest community of Orlando, Florida, can identify the cause and provide the most appropriate treatment. Call today or book an appointment online. Your genetic profile can make you more susceptible to rashes. Your rash can develop immediately or take several days. While a rash can clear up on its own with home remedies, if it doesn’t go away, Dr. Ortega can evaluate your skin and help identify the cause and the most appropriate treatment. What are the common types of rashes? Dr. Ortega can diagnose the type of rash you have after an examination of your skin, review of your medical history, and other symptoms. If your rash is caused by an allergic reaction, avoiding the irritant, such as poison ivy, to the best of your ability is recommended. Eczema, also referred to as atopic dermatitis, is a skin condition that causes itchy, red patches of skin. It’s a chronic condition that flares up periodically. A family history of eczema will increase your risk of developing this rash. Light therapy – exposing your rash to sunlight or use of an artificial ultraviolet A light lamp – could also be recommended. 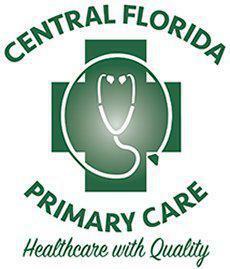 For diagnosis and care of an unexplained skin rash, call Central Florida Primary Care, or book an appointment online.